REAL CHARITABLE TRUST is located in CHENNAI Tamil Nadu . REAL CHARITABLE TRUST is registered as a Trust at CHENNAI of state Tamil Nadu with Ngo unique registration ID 'TN/2014/0075588' . 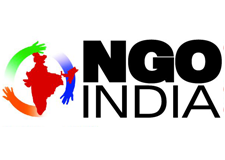 The NGO registration is done by Registrar of Societies with registration number 4445/07 on the date of 26-12-2007, Its parent ORganaisation is PaulFoundation. The Chairman of REAL CHARITABLE TRUST is LAWRENCE and Chief functionary officer is LAWRENCE. REAL CHARITABLE TRUST No: 297, 4th Street, Dhamodharan Nagar, Vyasarpadi, Chennai � 600 039.